As part of the next long-term EU budget 2021-2027, the European Commission is today proposing to renew the ‘Connecting Europe Facility’, with €42.3 billion to support investments in the European infrastructure networks for transport (€30.6 billion), energy (€8.7 billion) and digital (€3 billion). This represents a 47% increase compared to 2014-2020, showing the EU’s commitment to a well-connected and integrated Union where citizens and businesses can fully benefit from free movement and the single market. For 2021-2027, the Commission is proposing to strengthen the environmental dimensionof the Connecting Europe Facility, with a target of 60% of its budget contributing to climate objectives. This will help reinforce the Energy-Union, fulfil the EU’s commitments under the Paris Agreement and consolidate Europe’s global leadership in the fight against climate change. 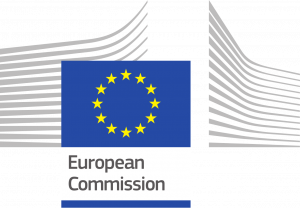 The Commission’s proposal aims to better integrate the transport, energy and digital sectors, in order to accelerate the decarbonisation and digitalisation of the EU’s economy. Clean mobility solutions – such as electric mobility – for instance require a close integration between the transport and energy sectors. Other examples include autonomous mobility, energy storage and smart grids. The Connecting Europe Facility will support smart, sustainable, inclusive, safe and secure mobility, in line with the ‘Europe on the Move’ proposals and the EU’s transport infrastructure policy. It will for instance help with the decarbonisation of transport by prioritising environmentally friendly modes (such as rail transport) and the development of charging points for alternative fuels. A stronger emphasis on the modernisation of the network is also proposed, notably to make it safer and more secure. As a concrete expression of European solidarity, part of the budget (€11.3 billion) will be reserved for Member States eligible to the cohesion fund. For the first time ever, the Connecting Europe Facility will also support civilian-military dual use transport infrastructure with €6.5 billion. The objective is to adapt Europe’s transport network to military requirements and to improve military mobility in the EU. This will make an important contribution to a fully-fledged Defence Union by 2025, which is a political priority of this Commission. Today’s proposal delivers on the Joint Communication from November 2017 and Action Plan from March 2018.